A TRISC-it: First 5 LA Executive Director Kim Belshé served on a panel in late October with other prominent Los Angeles County leaders at the Annual Summit for St. Anne’s, a local nonprofit that started as one of L.A. County's first maternity homes for teens. This year’s summit focused on the impact of trauma in early childhood, and Belshé took the opportunity to discuss our recently released report, Trauma and Resiliency: A Systems Change Approach. First 5 LA Commissioner and Event Chair Terry Ogawa, pictured here with Belshé, also spoke. Yummy in the Tummy: First 5 LA and the Los Angeles Food Policy Council convened 20 representatives from across the Best Start Community Partnerships in October to discuss nutrition, food access and the larger food system. Partnership members shared personal experiences about the challenges they face accessing healthier foods and the resulting health disparities in their communities. Community members envision the Healthy Food Guidelines (HFG) as a tool to educate families on healthy food choices and identify local vendors who are affordable, understand community needs and provide healthy food options for Partnership meetings. According to First 5 LA Communities Program Officer Natasha Moise, the development of the HFG is also an opportunity to build strong, ground-level collaboration with Department of Public Health staff that are also championing and actively participating in this effort. 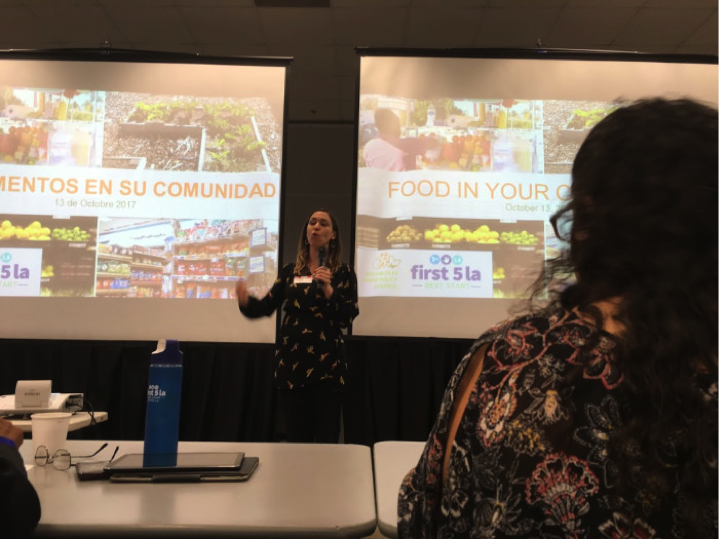 This month, the Los Angeles Food Policy Council will submit recommendations based on community feedback as well as research and lessons learned from the field. A report along with suggested Healthy Food Guidelines will be shared with First 5 LA and will be distributed to the Community Partnerships for discussion and implementation. Dancing in The Streets: First 5 LA leaders joined transportation and community building advocates on November 5 for "pLAy day in L.A.," CicLAvia’s 2nd Annual Fundraiser held at the Fig House in the Highland Park. 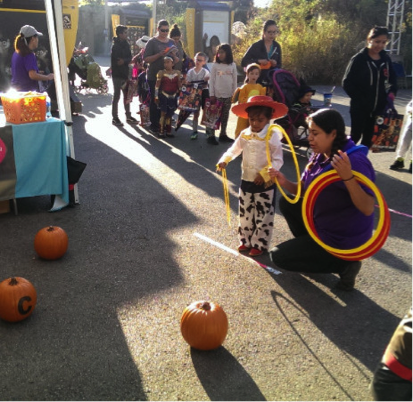 First 5 LA sponsored the event as part of our support of efforts to improve the built environment in L.A. CicLAvia promotes healthy lifestyles, improves air quality and increases community connectedness through Open Streets events throughout the County. First 5 LA has been a long-time supporter of CicLAvia and regularly hosts activities at the events.